Valentine’s day is notoriously known for men buying romantic gifts for their wives, girlfriends, and daughters. Why not surprise your man by buying him a manly Valentine’s day gift that he can use and enjoy. You won’t find and cute coupon books, romantic chocolates or bath bombs in this compilation of terrific gifts that your guy will love. 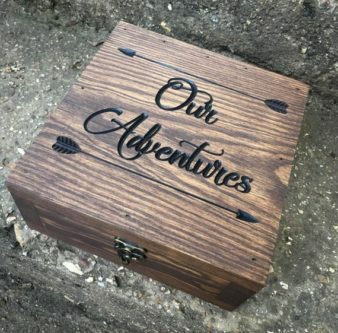 I found out early on with my husband that he really isn’t into anything remotely romantic, so I always try to get him a gift that is cool or fun. There are many men who love romance and if you have one like that you should hang onto him forever! For the rest of us, here are a few ideas you can shop for! You may be his first love, but beer is probably a close second! 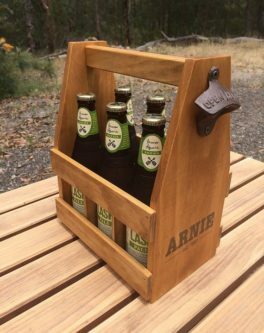 Why not give him the gift of taking his beer with him everywhere he goes with this fantastic caddy. Typically, you wouldn’t think of a candle being manly, but it is all about the scent! 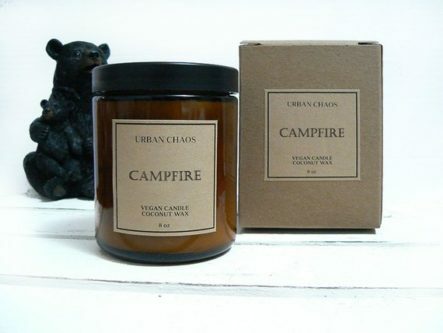 This wonderful candle smells like a campfire and what is more manly than that? 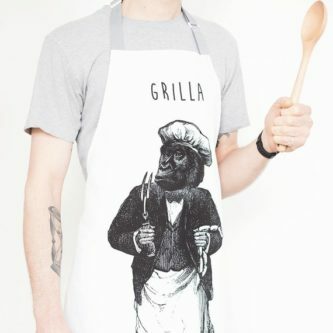 I may have laughed way to hard when I saw this hysterical apron! Any guy who loves to grill is going to think this is pretty great! 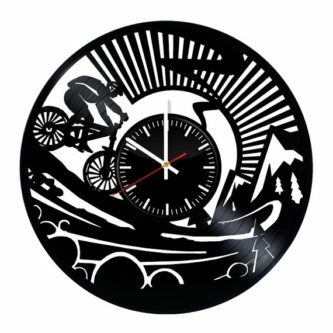 This vintage clock brings to outdoors right to you. It goes with any style and is entirely functional. Have a look! Your guy is going to feel super manly each time he cracks open a bottle with this bullet bottle opener. You can have them personalized too, so he can even give them out to his friends. 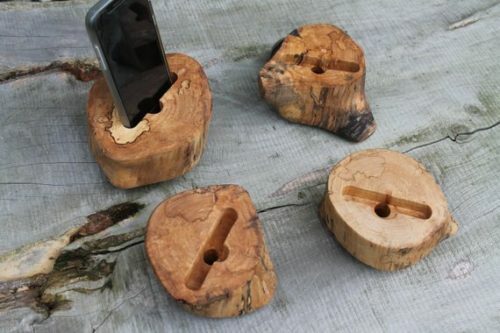 A manly sycamore docking station is what everyone needs! I love the look of the wood because it is so rustic! Okay, so you can’t always be with him to give those deep massages as he likes! So, why not give him a massager that can do all the hard and dirty work! Even men need to do some primping to stay looking good for his lady! This gift set comes with hand salve, lip balm, shaving cream and more. If your man is a neat freak and wants to keep his ride in mint and spotless condition, then this is the perfect gift for him! 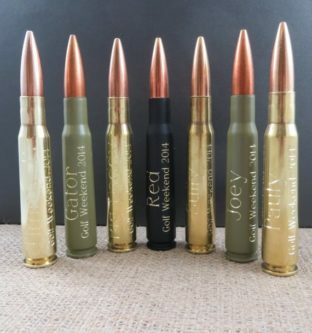 Let him enjoy taking his shots in style with this wildly cool shot glass with a bullet! Drinking shots will be even more manly! He can keep his beard in top-notch condition with this beard grooming set. Plus, this is a benefit for you when you get close and frisky! If you want to enjoy some nights off of cooking, then you should get him this grill set! He will be thrilled to hang outside flipping steaks or burgers. If your man likes his food with some spice, you are going to win girlfriend or wife of the year after you give him this set! He will feel like a kid again when he goes out and flies his drone! Plus, he will be able to take some unique photos too! Did you know that LEGO has complete sets for adults? They do, and this ship in a bottle is fantastic! 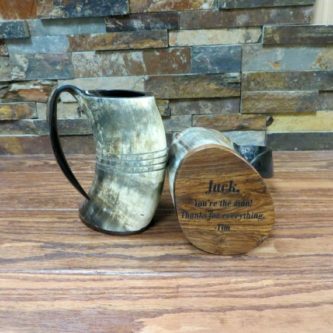 Imagine him drinking a cold beer out of one of this buffalo horn mugs! This gift is legendary! 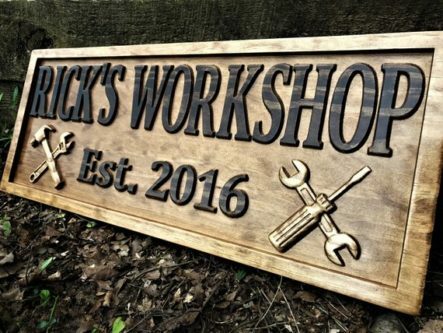 Whether he has a man cave or garage, he will love this cool custom sign for his space. Who doesn’t like to go on amusing adventures? This is something you can do together, and he can keep mementos in. If he spends a lot of time outdoors running, fishing or camping he will love being able to listen to music while wearing his beanie. This telescope is brass and has an antiqued finish. It is entirely functional and looks so cool. What is the best gift you have ever been given for Valentine’s Day?